The OI-6940 Notis Quad is a battery-powered, non-explosion proof 4-gas sensor assembly that simultaneously uses up to four sensors—Electrochemical and/or Low-Power Infrared—for sensing an array of toxic gases in ambient air. 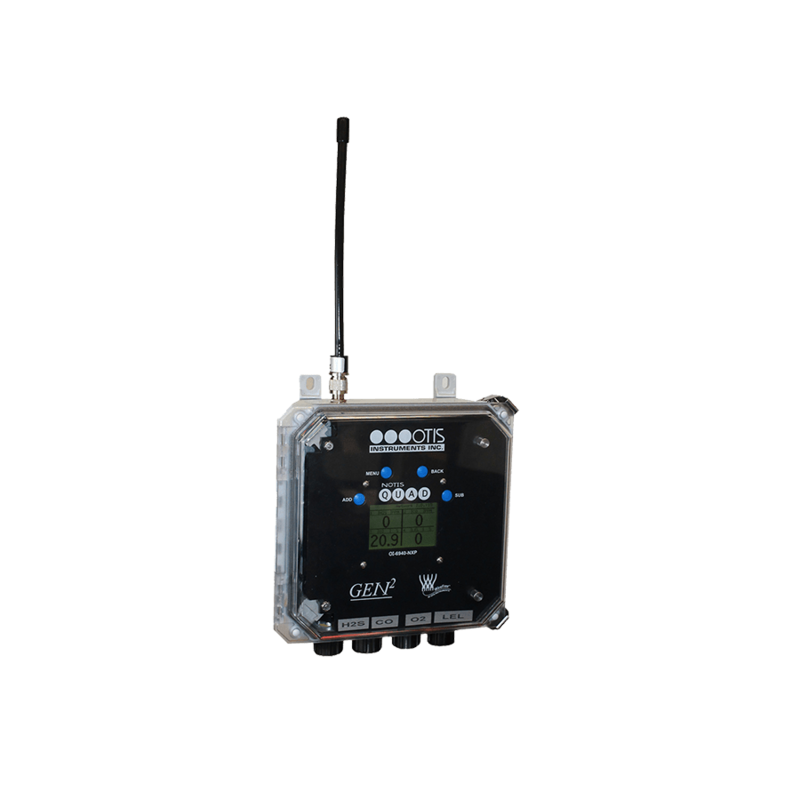 The Notis Quad comes standard with a 160×104 graphical LCD screen, four-button interface, non-intrusive switches, and one radio (900 MHz or 2.4 GHz). The Notis Quad is field-adjustable for background gas, and addressable to eliminate interference with other systems. The Notis Quad is designed to be self-contained, to last for up to 6 months using a 3.6V 76 Amp Hour battery-pack, and to reject EMI and other forms of interference in order to avoid false gas readings.